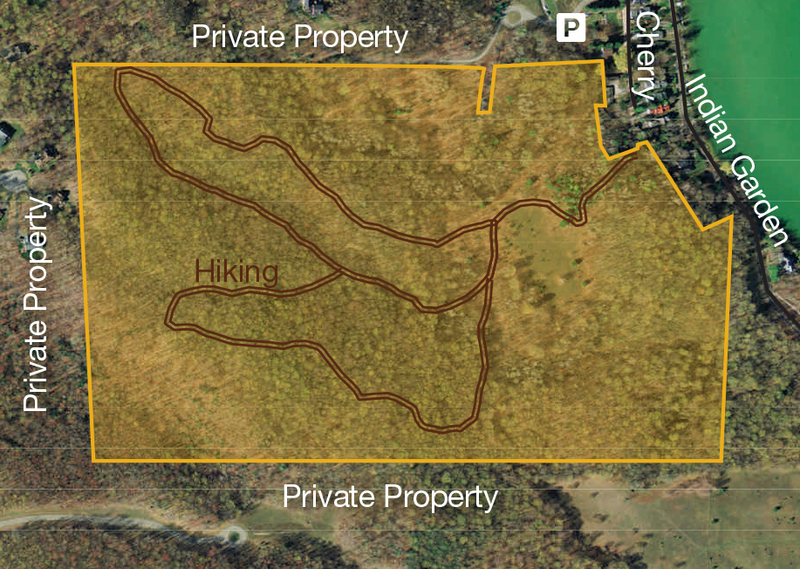 This nature area is a combination of two preserves, Randall Ferguson Preserve and Cherry Lane Preserve. Rolling hills, open meadow, with a springtime carpet of trillium are among the features at this preserve. The entrance is located on Cherry Lane off N. Indian Garden Road. Parking is limited, continue on Wooden Landing and park on Balsam St (near the roundabout) and then walk to the preserve sign on Cherry Lane where you will see steps leading into the woods.